The island of Ibiza continues to surprise with its corners of white sand, pine forests and incredible views but not satisfied with that it also owns the best preserved walled city in the Mediterranean, a UNESCO World Heritage Site. 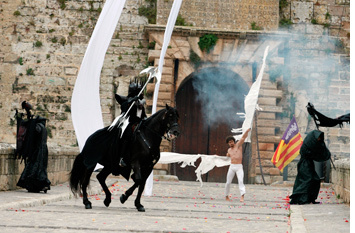 That is why the city celebrates wearing the streets of Dalt Vila of colors and music. 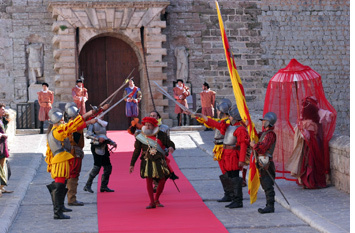 musical performances, more than 200 artisans and food stalls typical of the Middle Ages invade the streets and walls of this city that was once protagonist of the Mediterranean to pirates and traders. 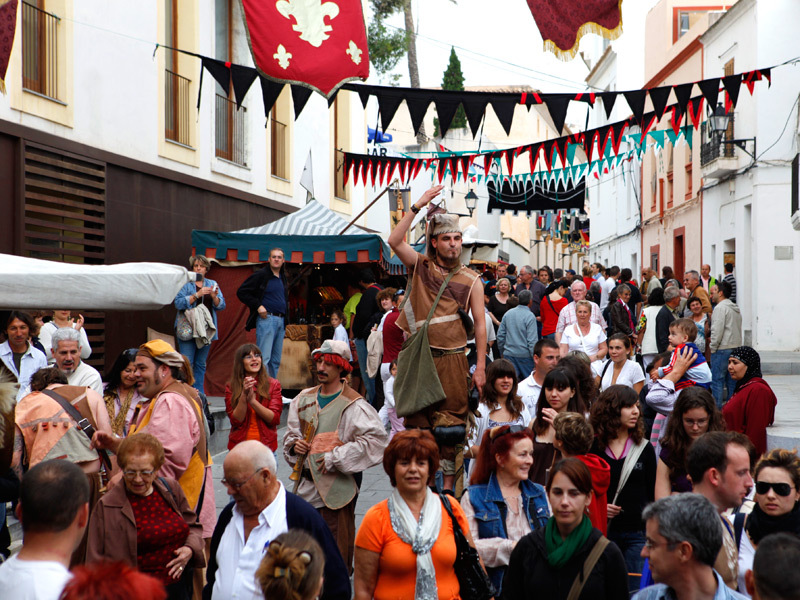 This year the festival will take place on 5, 6, 7 and 8 May for the enjoyment of locals and visitors, everyone wants to live the Medieval experience lived in Ibiza. Therefore, in the Hotel Puchet we encourage you to visit one of the wonders of the island that can only be seen this weekend with 15% discount. The Hotel provides an ideal space to enjoy the tranquility of the island, without neglecting the nightlife that characterizes the municiopio of San Antonio, also the Hotel is located 800 meters from the beach of Es Pouet. © 2019 Hotel Puchet | SM Turistic, S.L.